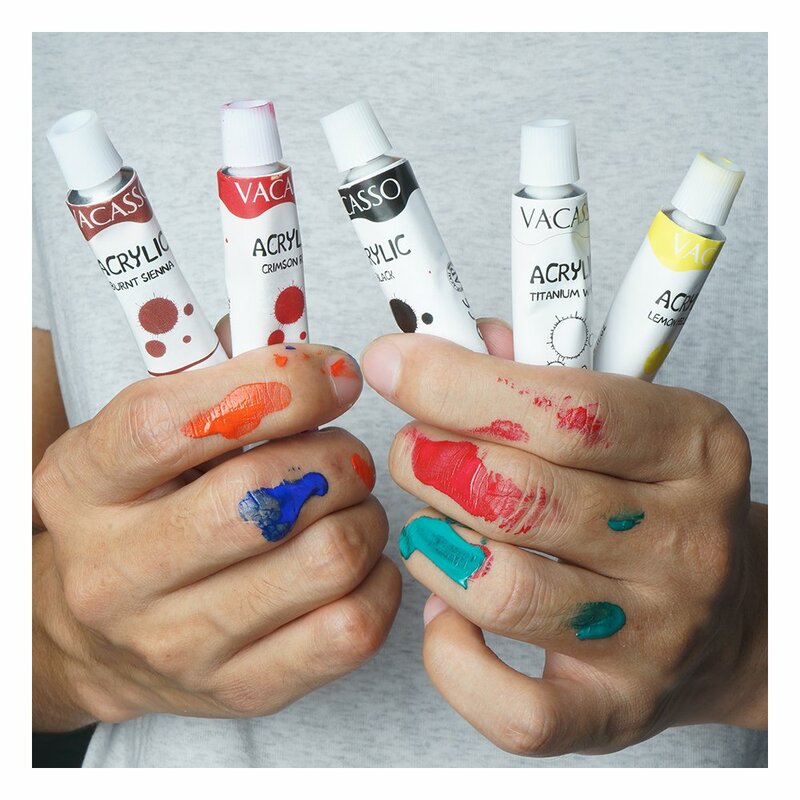 【HIGH QUALITY VIVID COLORS】Bring your artwork to life with our superior performance artist paints. Every tube is made of rich pigments that result in a long lasting color that applies vivid and stays that way. 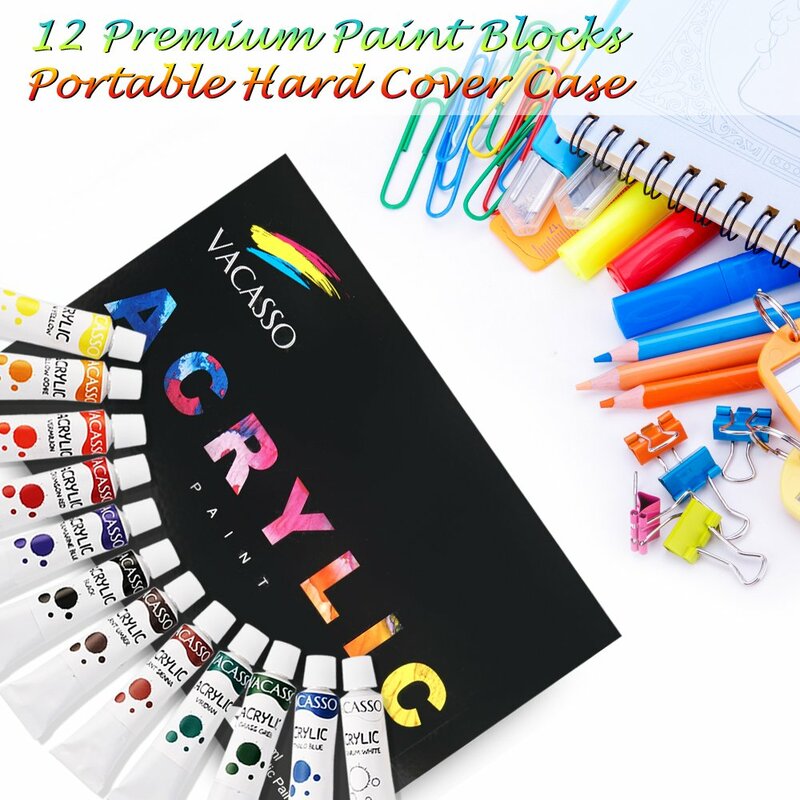 【UNLIMITED USES】This art paint set is excellent for beginners, kids, teens, adults, hobbyists or artists for a wide range of surfaces like metal, glass, ceramic, wood, fabric, clay, nails, walls, ceramic, crafts and more. 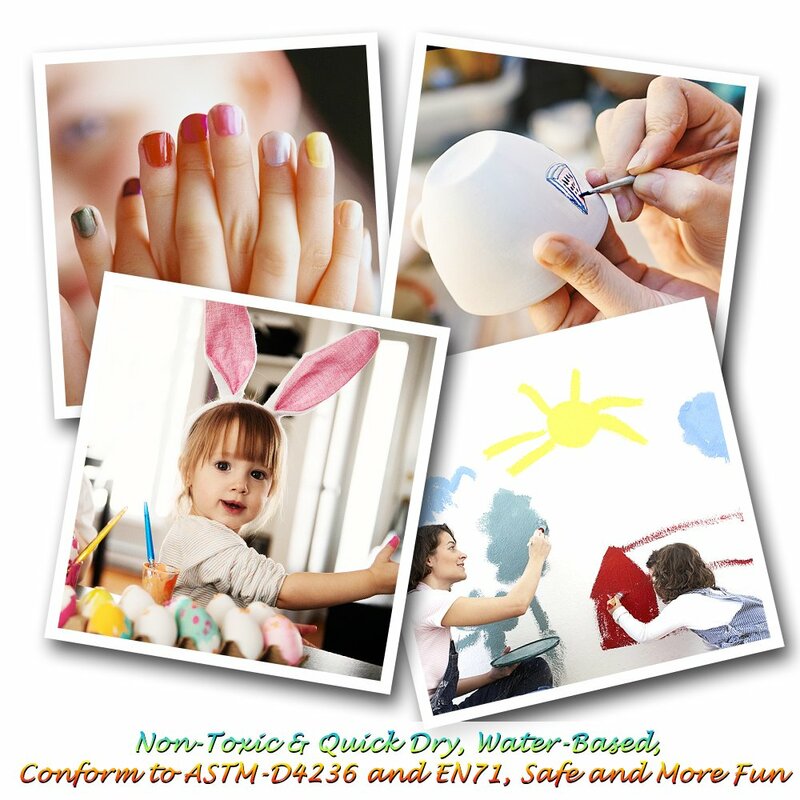 【SAFE and EASY TO USE】VACASSO Acrylic Paint Set are completely safe as they are non-toxic, water-based, acid-free and conform to ASTM D4236 and EN71. 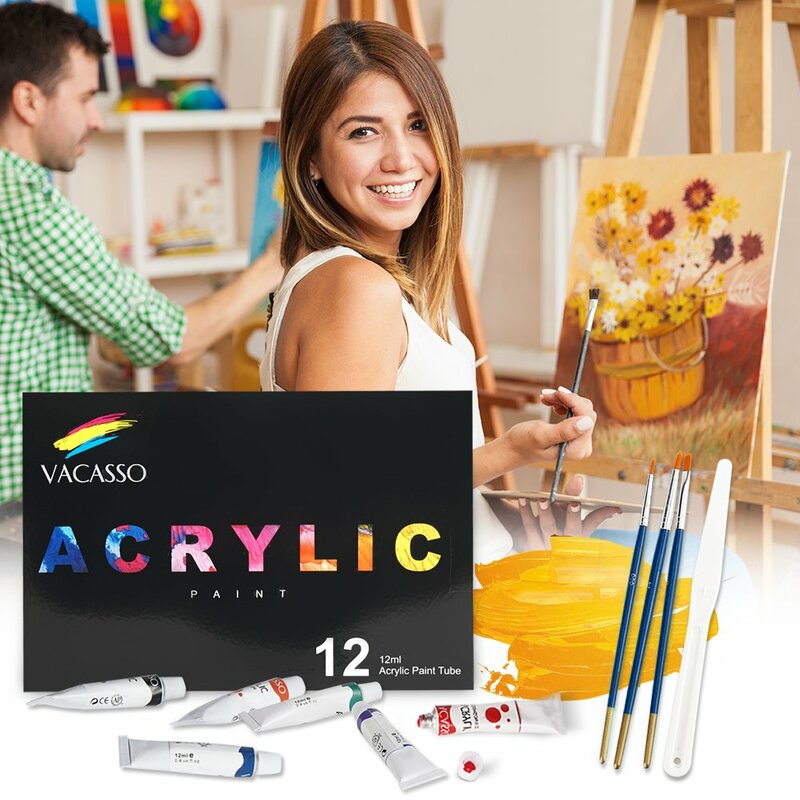 Our artist quality acrylic painting kit consists of 12 vibrant colors filled in 12ml easy squeeze tubes. 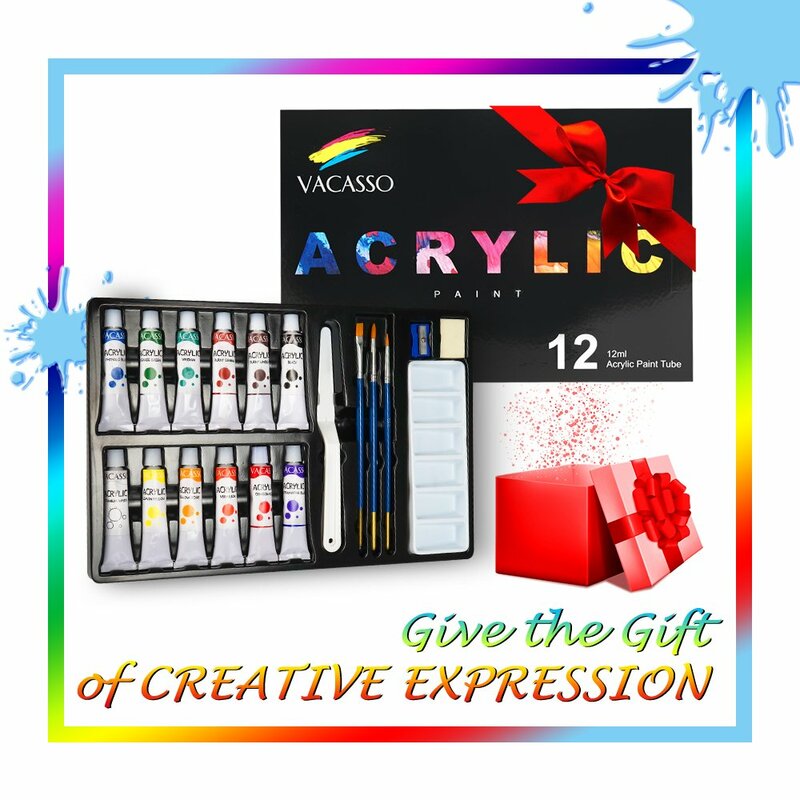 【HOURS OF CREATIVITY】Turn ideas into colorful masterpieces with our acrylic paint starter kit. Anybody who gets this acrylic craft paint as a gift will be occupied for hours. 【RISK FREE PURCHASE】We're so confident that you'll be delighted with our paints that if you're not satisfied with them at anytime, we'll provide a full refund. Order with confidence now! 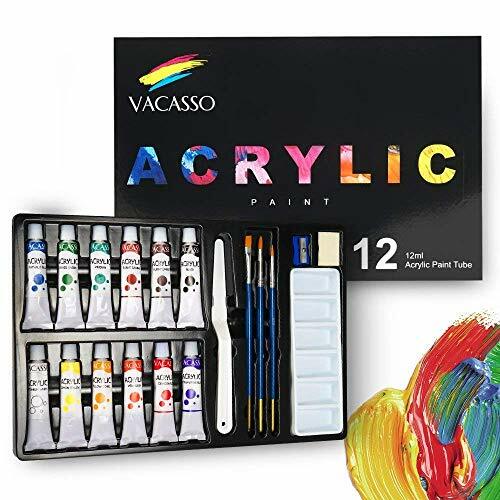 VACASSO Acrylic Paint Set is ideal for beginners, experienced artists or students, offering professional quality at a uniform and affordable price. Buy it now and receive our VACASSO brush set absolutely free (By adding them to the cart together)! Hues are carefully formulated to provide authentic tints, and just the right masstones, undertones, and mixtures. Colors are lightfast, consistent, opaque, and demonstrate strong adhesion once dry. Our acrylic paints are subjected to tough quality standards, colors are supremely consistent from batch to batch. This means that you can easily achieve the right color mixtures every time without frustration or waste. Are you still struggling to find the perfect shade? You'll find that these blend remarkably well meaning endless color possibilities. 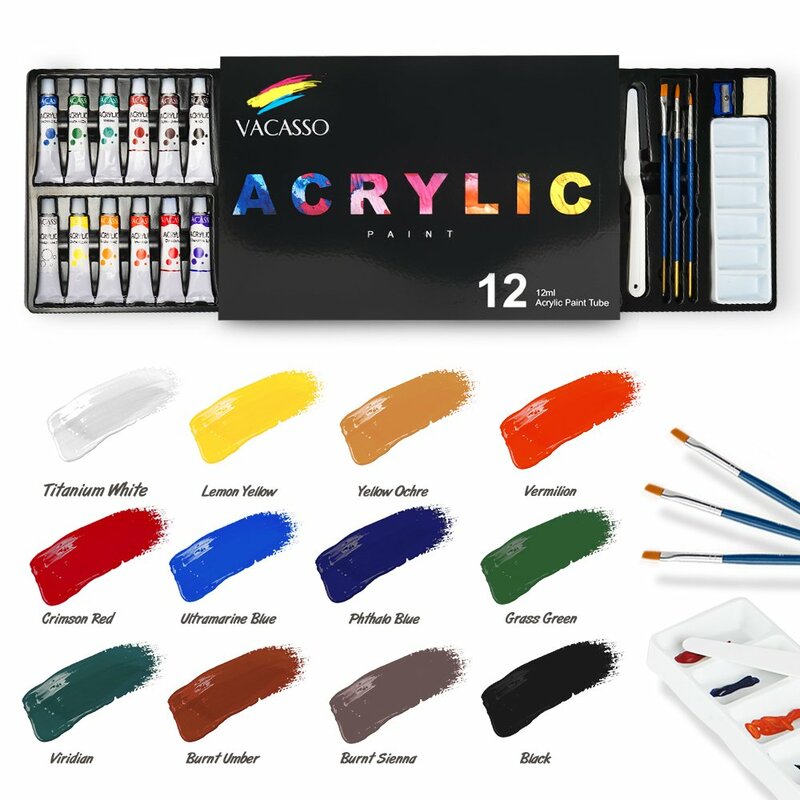 This set also includes 3 x brushes, 1 x plastic palette, 1 x sharpener, 1 x eraser and 1 x palette knife - All FREE. You don't need to think too much about additional materials and can just start painting immediately. 1. Please tighten the caps after painting. 2. Remember to clean your brush finishing your art work. 3. Wash your hands after finishing painting. We're so confident that you'll be delighted with our paints that if you're not satisfied with them at ANYTIME, we'll provide a full refund without return. Click "Add to Cart" to order today!